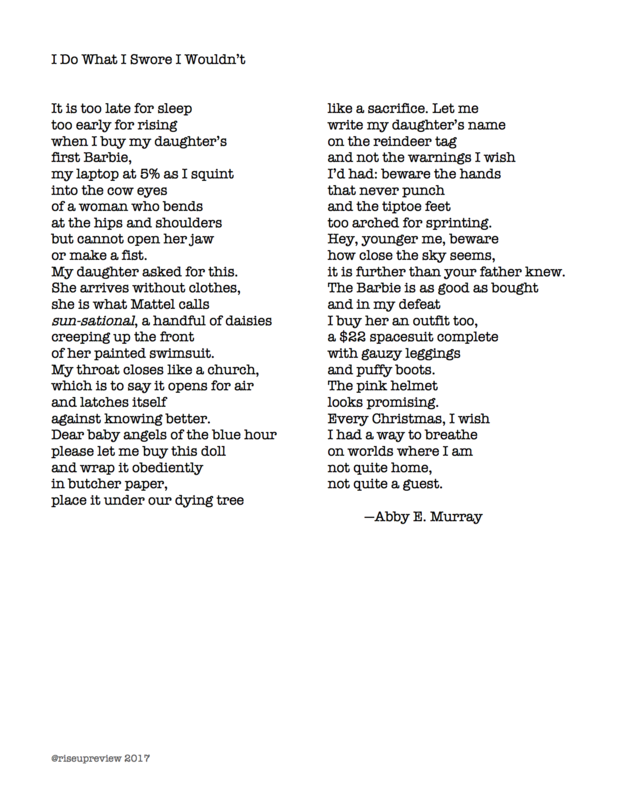 Abby E. Murray has an MFA from Pacific University and a PhD from Binghamton University. She’s an editor for Collateral and currently teaches creative writing at the University of Washington, Tacoma, where she writes often about military issues and teaches workshops for veterans and military families. Recent poems have appeared in Rattle, River Styx, Stone Canoe and other journals.